He flew with a seasoned bomber crew during his first couple of raids to get acclimated. 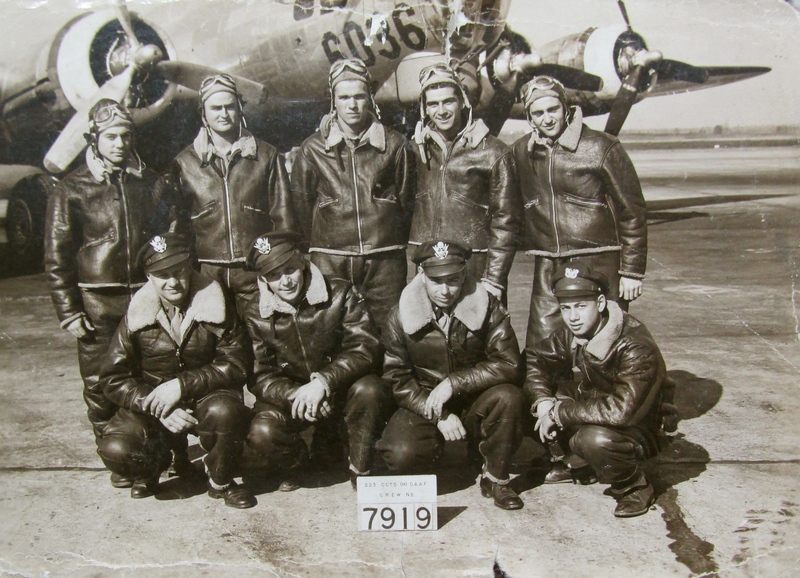 Tristano and the other nine-man crew of a B-17 they called “Heaven and Earth” were scheduled to bomb Cologne, Germany together with several other squadrons on Jan. 10, 1945, their first mission. Their target, according to his handwritten flight log, was a Luftwaffe fighter base crowded with Messerschmitt-262 jets. It didn’t happen! “We put up 36 planes for that mission, three squadrons. Unfortunately someone in the lead bomber threw the wrong switch. When the bombardier hit the trigger to drop his bombs nothing happened,” the 90-year-old North Port, Fla. man explained. “We were to drop our bombs as soon as we saw the first two smoke bombs drop out of the lead plane’s bomb bay. They never came out and we never dropped our bombs. “We made three passes over the target trying to drop bombs, but couldn’t. By then we had lost 10 of the 12 B-17s in our squadron. Our plane and another bomber were the only two bombers in our squadron to survive the mission to Cologne. 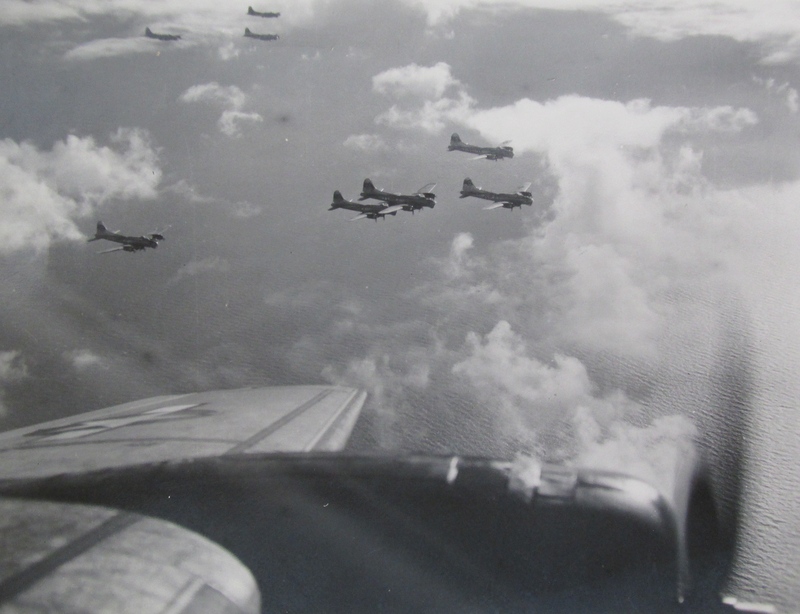 That first mission was a big snafu for the airmen of the 355th Bomb Squadron, 350th Bomb Group, 8th Air Force flying out of Calverton Air Base in England. The base was located about 70 miles south of London. The first five combat missions Tristano flew as a waist gunner firing out the side of his B-17 with a single .50 caliber machine-gun. Then he was asked by the pilot to be a replacement for the ball turret gunner located in the belly of the heavy bomber. Besides fending off attacking enemy fighters from underneath the big bomber, Tristano also tracked the bombs they dropped until they exploded with the camera mounted on one of his twin .50 cal. machine-guns. Most of the time, if they were attacked by German fighters, they were ME-109s or Fock Wulf-190s. Occasionally they’d be hit by ME-262 jet fighters. They couldn’t track them with their machine-guns because they flew at 500 mph, too fast for their guns. “We only fired at German fighters that had their noses pointed at us,” he said. “If their nose was aimed at our bomber chances are they were shooting at us. “The largest bombing raid we were on was the flight to Berlin on Feb. 3, 1945. One thousand bombers took part in that raid according to my flight log,” he said. Our target was Gestapo headquarters in downtown Berlin. We dropped one hour, three hour and seven hour delayed action bombs on the headquarters. It was to be a demoralizing attack on the Nazis. “A short while later, on Feb. 21, we hit a German tank factory at Nuremberg. It was an interesting target because the British had tried a night bombing raid on the factory and missed it; A few days later we attacked during the day and leveled the plant. “Our mission to Munich on Feb. 25, 1945 was another bad one. We lost an engine over the target, the railroad marshaling yard there. We dropped out of formation and limped back to England on three engines. “We landed at a British fighter base in the Dover area on the return flight. I think it was this mission where another of our engines ran out of fuel about the time we touched the runway,” Tristano recalled. “On April 17, 1945 we bombed the marshaling yard at Dresden, Germany. By then the entire Medieval city had been leveled by hundreds of British and American bombers that obliterated the capital city of Saxony in mid-February. Upwards of 25,000 German civilians were killed in these raids. Both the British and Americans were criticized for the unnecessary destruction and death caused by their air forces less than a month before the Germans’ unconditional surrendered on May 8, 1945–VE-Day (Victory in Europe). The crew of “Heaven and Earth” flew their last mission April 19, 1945 over Falkenberg, Germany. They bombed the marshaling yard there, too. “By your 35th combat mission you felt like you were immune to disaster. Then, as we were flying back to base in formation, we looked up and there were the wheels of this B-17 above us coming down almost on top of us. Our pilot pointed our nose down and escaped without incident,” Tristano said. “‘We were about to be killed by our own guys sitting on top of us!’ our pilot observed after it was all over. No bottle of champagne was awaiting the crew of “Heaven and Earth” for successfully completing 35 combat missions, like in the movies. Nothing! A short while later Tristano returned to Boston aboard a freighter. There was no celebrating stateside because VE-Day hadn’t arrived and World War II was four months from being over following the Japanese surrender in August. Tristano took the G.I. Bill and graduated from New York University with a degree in International Trade and Banking, but went in the food service business. “I began as a trainee at the Plaza Hotel in New York. When I left I was Director of Catering at the Plaza,” he said. It was a position he would hold at many of the major hotels in New York and Washington, D.C. over the next 42 years until his retirement in 1990. He served as Director of Catering at the Hilton, Sheraton and Marriott in D.C. for decades. During that period Tristano provided four presidents with a little liquid refreshment: Eisenhower, Kennedy, Johnson and Nixon. A couple of years before retiring and moving to Florida in 2000 with his wife, Marion, of 39 years passed away. He has two children: Michael, Jr. and Linda. This story was first published in the Charlotte Sun newspaper, Port Charlotte, Fla. on Monday, May 25, 2015 and is republished with permission. 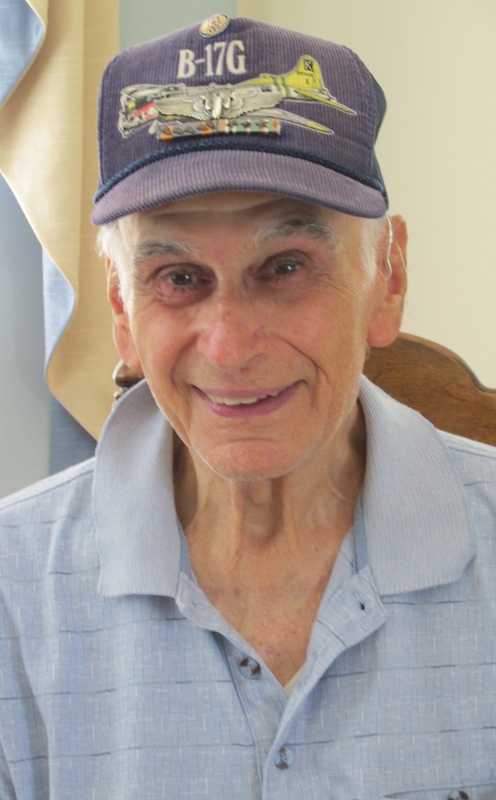 Mr. Tristano survived 35 missions in WWII, survived a beating by a caregiver decades later. Click here for the story. Michael N. Tristano, 93, of North Port, Florida, died on June 5, 2018. A Celebration of Life will be scheduled at a later date. His final resting place will be at Parklawn Memorial Gardens in Rockville, MD. He is survived by his son, Michael N. Tristano, Jr and his daughter, Linda Crowl both of Venice, Florida. Michael was born in the Bronx, NY in 1924. He then served in World War II flying in 35 missions in a B-17. After his service he went into the hotel service business where he ultimately ended up as Head Director of Catering Standards for Marriott Corporation. Please continue to check with Farley Funeral Home website for more information. Funeral arrangements by: Farley Funeral Home in Venice (www.farleyfuneralhome.com). I have his DD-214 that will clear things up, unfortunately, and this rarely happens, I’ve misplaced his folder. Thank you for the heads-up, tho. You do know that the Air Force came out of the Army. I believe during that time they were one in the same. Sir, Hope you recover well. Some of us youngsters still look up to real men.